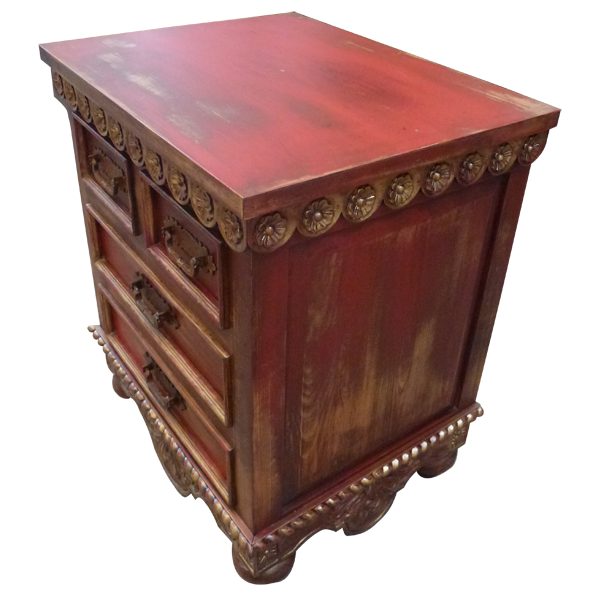 This Spanish colonial style, handcrafted end table is an excellent example of the incredible hand carving abilities of our skilled craftsmen. 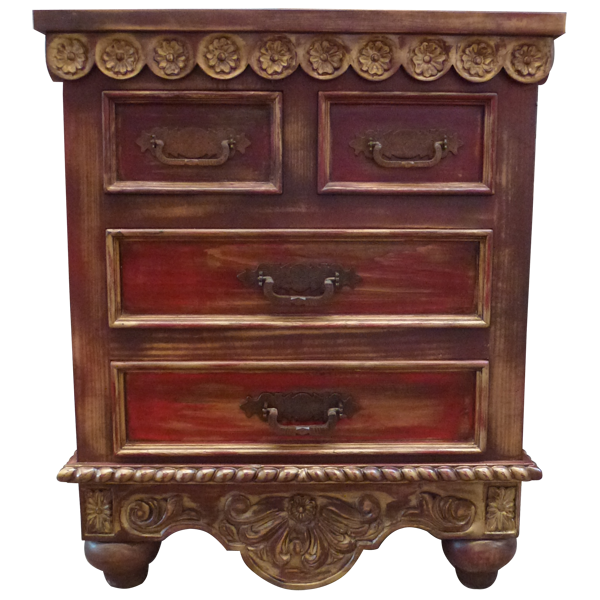 The front and the sides of the top rim of this end table are embellished with a scalloped design, and with elaborate floral details. 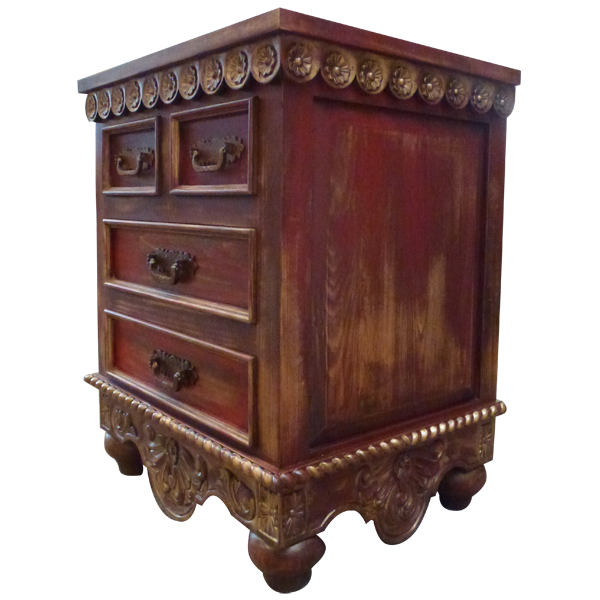 The lower base is adorned with a hand carved, rope twist design, and the furniture´s lower apron is decorated with exquisite, hand carved, floral details. This elegant end table can be accompanied with our Zoila bed (bed30) and with our Zoila armoire (arm22). Directly below the top rim of the end table are two small drawers, and underneath the small drawers are two, larger, vertical drawers. 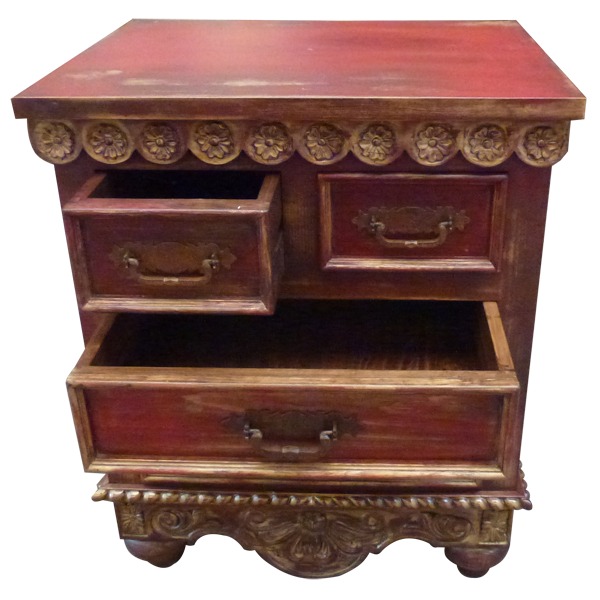 This custom furniture has a decorative panel on each side, and it rest on hand turned, bun style, tapered feet. This durable end table is made with the best, sustainable, solid wood available, and it is 100% customizable.